Ethiopia is (rightly, in my opinion) demanding the remains of an emperor's son who was captured in 1868 and sent to Britain to be educated as a gentleman. Amid the gothic splendour of St George's Chapel in Windsor Castle there is a little-noticed brass plaque. Erected in memory of Prince Alemayehu Tewodros, it reads: "I was a stranger and ye took me in." 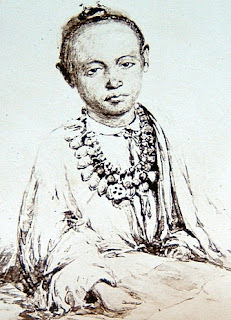 The child prince (shown here), the son of the Ethiopian emperor Tewodros II, who has a claimed bloodline stretching back to King Solomon and the Queen of Sheba, was captured in April 1868 by the British Army, which conquered the ancient citadel of Magdala. These sentiments were resurrected two weeks ago when the country's President, Wolde-Giorgis Girma, formally wrote to the Queen asking for the remains of Prince Alemayehu to be exhumed and returned to Ethiopia for burial in time for the country celebrating its millennium in September. Ethiopia operates according to the Ethiopic calendar, which runs seven years behind the Western Julian calendar and marks the new year in September. The year 2000 will therefore arrive on 12 September 2007. Gabriel Kassayie, who collected more than 100 signatures among his classmates at a primary school in Hampstead, north London, said: "I wanted to do something. I learned how the artefacts were stolen from my country and how attempts to get them back were prevented. I wanted to do this for my ancestors." Campaigners in Ethiopia argue that the epitaph to the prince in St George's Chapel is laden with irony: Alemayehu was not so much taken in as spirited away. Although Queen Victoria took a personal interest in Alemayehu's upbringing (reputedly paying his fees for Rugby School), they argue he was just as much of a "war trophy" as the gold crowns and altar pieces seized by the army of Sir Robert Napier, sent by the monarch to crush Emperor Tewodros in 1868. Mulugeta Aserate, a second cousin of Ethiopia's last emperor, Haile Selassie, and a senior figure on the organising committee of the millennium celebrations, said the return of the remains for burial in a monastery in the northern city of Gondar would remove a blight on relations with Britain. He told The Independent: "The prince was a prisoner of war. Our relations with Britain are good and warm but the episode of Prince Alemayehu represents a dark side of that relationship. "His return would be a cause for celebration here and what better time for it than this very African millennium of ours? He died in a foreign land but Alemayehu's name has not been forgotten in Ethiopia." It is a further irony that the capture of the prince has its roots in an ill-fated attempt by his father to foster strong relations with Britain. In the late 1860s, the Christian emperor had sought the help of Britain in trying to protect Ethiopia from the Ottoman Empire and Egypt. When his entreaties went ignored and he imprisoned the British diplomatic mission, Napier inflicted a crushing defeat against his army on 10 April 1868 at Magdala, a fortified mountaintop in central Ethiopia. Tewodros freed the prisoners and sent the British general a gift of cattle to be slaughtered for Easter Sunday two days later. When Napier replied with thanks, offering a safe conduct for Tewodros and his family, the emperor angrily rejected the overture and vowed never to be taken alive. After heavy bombardment, Tewodros committed suicide on Easter Monday, leaving the British to loot the palaces and churches and capture his young heir. The American journalist Henry Morton Stanley, who witnessed the aftermath of the battle, describes how the plunder covered "the whole surface of the rocky citadel, the slopes of the hill and the entire road to the [British] camp two miles off." The British insisted it had been the dying wish of Emperor Tewodros that his son and his mother, Queen Terunesh, be looked after by the victorious power. Whatever the truth of this, the leaders of the expedition recognised the usefulness of the prince as a potential pawn in its efforts to expand British dominion in east Africa to Abyssinia, as Ethiopia was then known. Speedy, who was 6ft 6in and sported a bushy red beard, was a veteran of British campaigns from India to New Zealand. A speaker of Amharic, the Ethiopian language, he dismissed the prince's tutor, Alaqa Zenneb, before beginning the sea voyage to Britain and it seems he rapidly formed a close bond with his new charge. In his journal, he described how a terrified Alemayehu refused to leave his side, day or night. Speedy wrote: "The distressing alarm that then seized him rendered him so timid that for the following three months no persuasion could induce him to sleep out of my arms, so great was his terror that if he happened to wake and find me asleep, he would wake me and earnestly beg me to remain awake until he should fall asleep, and it was only by continued care and tenderness that he is gradually losing his timidity." There is no evidence that such comforting by the "gentle giant" officer was anything other than paternal. But it is fitting proof of how the Victorian empire builders saw their obligations towards a young boy considered a near divinity in Ethiopia. Later pictures of the teenage prince, who was patronisingly recorded on his voyage to Britain as not having "the faintest notion" what to do with a knife and fork and had to be shown how to put marmalade on his toast, show him dressed in a tweed suit reading a heavy tome. Evidence suggests the photos were showing Alemayehu as something which he was not. Speedy recorded "he had no interest in his books and had an utter dislike for anything in that line" while his tutors at Rugby stated baldly: "Progress in study he will never make." Instead, the prince was dispatched to Sandhurst Military Academy. He was no happier there. Despite frequently expressing a desire to return to Ethiopia, the government refused all his requests. Dr Mandefro Belayneh, an Ethiopian academic researching the life of Alemayehu, said: "He didn't have any friends or family to call on. There were letters coming from Abyssinia from his grandmother ... and all the letters said, 'When are you coming back? Your people are expecting you.' But I suspect these letters were never shown to him." The prince died in October 1879. His funeral was held in St George's Chapel. Buckingham Palace yesterday declined to comment on the request from President Girma. Ethiopian sources suggested that although the request was being considered favourably, there were potential problems with identifying the remains. But arguably, the official verdict on Britain's role in the life of Prince Alemayehu was delivered long ago. 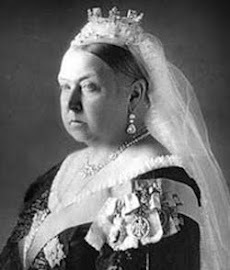 After his death, Queen Victoria wrote in her diary: "It is too sad. All alone in a strange country, without a single person or relative belonging to him. His was no happy life." 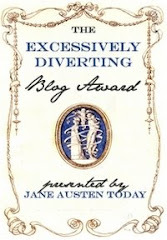 I'm overwhelmed at the amount of detail you have presented on your Blog! I am confident it will take me days to simply read your entries - thank you for the reference! Tewodros didn't ask for the help of Britain against the Ottomans and Egyptians.He had no problem to keep fighting and die, for he had struggled against them since he was a boy under his ferocious uncle Dej. Kinfu Hailu. He was very advanced among his people and ahead of his time. Fully understanding the intention of the Great Powers, even though he was surrounded in the childish world of Abyssinia, he thought it his responsibility and his God given task to save his nation from encroachment. Though he was a master of war on the field he knew the importance of diplomacy and achieving progress through industry. Seeing the technological advancement his enemies had against him and that they used it only for greedy gain, he wanted it to use to build his nation and to open the peoples eyes. It is this sole reason why Britain made him their enemy. He wasn't part of their agenda, he was a stumbling block. Britain knew a modern Ethiopia under Tewodros would be the ruin of Egypt and the cotton industry. So they ignored him encouraging the Egyptians to attack his frontier and enslave children. This after Tewodros had agreed to be a good christian and not attack the Egyptians which was an impossible thing for him at first because of the atrocities they had committed against his Christian countrymen. Now is the time to learn the real history of this romantic man, not false reports which have been created by the same people who were responsible for his downfall!